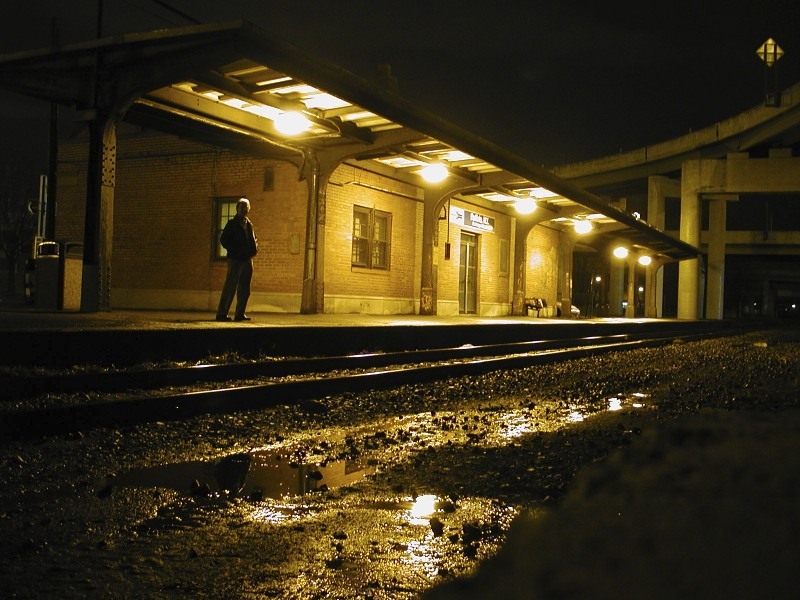 A January morning about 5:15 AM, several years back, waiting alone for the eastbound Lakeshore Limited in Buffalo N.Y. and my last employer-funded return home. A long satisfying career entailing countless flights and long road-trips was drawing to a gratifying close, and on this one last segment, I chose to take the train. Truly an occasion of unbridled contentment and satisfaction, my days ahead would be savored slowly with reflection and appreciation starting today, on the rails… making my way home, via Albany, and the scenic Hudson River Line. Note: Thanks for participation incentive from Milka Pejovic’s post found here, based on “A Word A Week Challenge:” found here. Thanks Wes. Yeah the steam engines – the puffing smoke, chuga chuga and clickity clack….It is magical. Thank You again, Sherri. The recant and photo was real, of course, and I was alone, but…the calm deception was me racing across the track after setting up the camera on 10 second delay! A beautiful, eloquent look back and look forward. I can feel the memories you were taking into the future with you. And of course you take me back – to all those train rides in NY and PA and the life chapters they carried me through. a little research has revealed the last steam train into Sydney Central was in 1969 … so we kept them just a bit longer than you … however my train journeys were over by 1963 so I did not notice until it was too late to say Goodbye! There are awesome colors in Your photo.